You're no Li Na, but you can still present yourself at a nearby tennis court to hit a few balls. Photo from Getty Images. WHAT do Zumba and Zucchini have in common? Give up? OK, out of your misery with you! That means getting together with Jean Jeff Tiffany Taylor and having some serious fun or talking through problems if necessary. Further, you can get yourself back on the tennis court. As for you, film buff, how about taking in "The Best Man Holiday" (http://www.ow.ly/qSpfT)? While you keep threatening to grow your own basil. Did someone say herb garden?! The important thing, DT emphasizes, is that a body should engage in something other than morbid thoughts. With the holidays upon us, this is sound advice to take to heart (and head), no? To that end, by all means, get moving and get cooking. 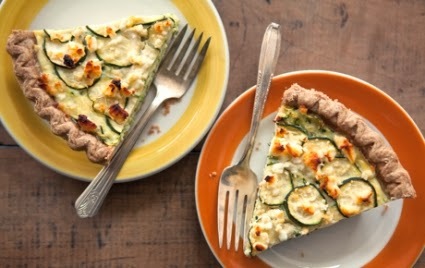 (See video of beginner zumba class above and recipe for Zucchini Feta Pie below). 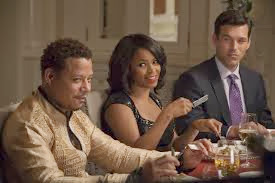 Goings-on in "The Best Man Holiday," starring Terrence Howard, Nia Long, Eddie Cibrian and others, will make you laugh and cry. Photo courtesy of Universal Pictures. Preheat oven to 350°F. Very thinly slice one zucchini and set aside. Grate remaining zucchini, firmly squeezing it by the handful to remove as much liquid as possible. In a large bowl, whisk together flour and eggs. Reserve 1/2 cup cheese, and then stir grated zucchini and remaining cheese into egg mixture. Transfer to pie crust, top with sliced zucchini (arranging it in circles, if you like) and reserved cheese and bake until firm and golden brown, 50 to 55 minutes. Set aside to let cool, and then serve warm or cold. HEAD'S UP: You will seek professional help if depressions persists, of course.